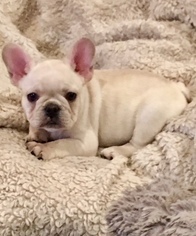 Litter of 6 adorable AKC French Bulldogs available January 11th. Born 11/16/18. Will come with health certificate from Vet and 1st set of shots. 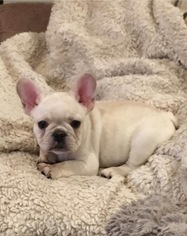 We have 1 blue fawn male, 1 fawn male, 1 cream male, 1 brindle male, 1 cream female, (female blue fawn is SOLD). All appear to have blue eyes. 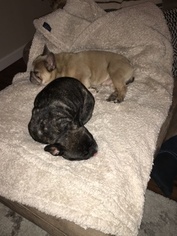 They are very calm sweet pups. Very smart as they already know how to use pee pads. Well socialized being they've been handled since the day they were born by our family including our 7 year old son. Raised in a very clean &amp;amp;amp;amp;amp; loving environment. We own both sire (dad) and dam (mom) and they are on site. Both are healthy and have amazing personalities. Great lap dogs, super loyal, calm, not yappy. Dam is brindle, sire is blue fawn. Both carry Blue. Dad has sired several litters of 6-8 pups with different dams, all successful breedings and all have been healthy pups. The photo of the blue is of one of his pups where mom was a pied. 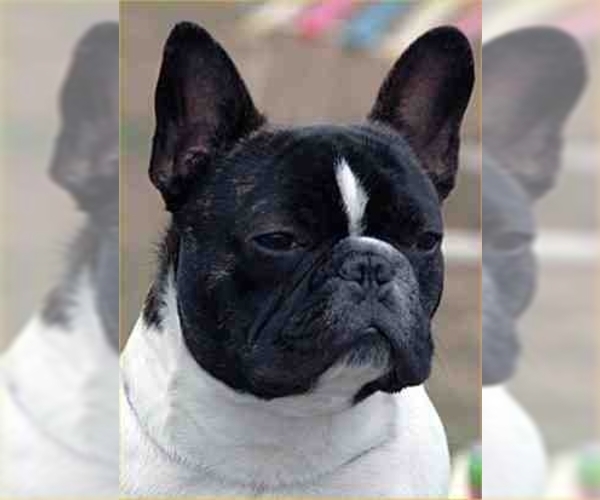 Can give references of owners of Frenchie dams that have used our Sire to breed with their dam. There is a re-homing fee. We will only home to safe, loving homes. Buyer will be responsible for all shipping costs. AKC true cream boy. He is a total stud. Biggest of the litter and first to do everything. Very sweet and lovable. All 4 pads of his paws are black. Looks like he will have blue eyes. Puppy has been thoroughly examined by Vet and he is very healthy. Vet says he is a true cream. Will come with health certificate. First set of shots and de-wormer given on 1/11/19. Ready for his new home. Dam and sire carry blue and both are our family pets on site. Well socialized with great temperament. Mom and dad have never shown signs of aggression, just sweet as can be. AKC and very healthy. AKC registered 4 year old blue fawn. Carries blue. Healthy and excellent temperamant. Has sired several litters of 6-8 puppies all healthy. AKC registered 2.5 year old brindle. Carries blue. Healthy and excellent temperamant.